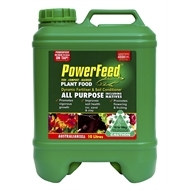 PowerFeed promotes vigorous growth and stimulates flowering and fruiting. Its unique blend of fish, highly soluble nutrients and liquid composts sets it apart from other products. 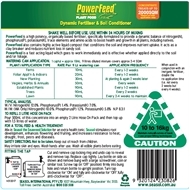 PowerFeed can also act as a clay breaker and help to reduce nutrient losses in sandy soils. It stimulates the growth of beneficial microbes which break down organic matter and release soil nutrients.